At educational non-profit Real Industry, we have the mission to educate, inspire, and empower university students to thrive in the arts and technology industry. To accomplish this, we like to collaborate with partner organizations that believe in the next generation of industry leaders just as much as we do. Joining forces with Turtle Beach for the Arbor eSports Game Industry Night at the University of Michigan was an exciting way for us to connect passionate students with an amazing and innovative company in the gaming industry. We were thrilled to join Turtle Beach in Ann Arbor on Friday, October 26th at the Ross School of Business. Also in partnership for this event was the student organization Arbor eSports. This student-led club recognized the growing trend of eSports entertainment while also noticing a lack of opportunities for students to get involved. To fix this problem, Arbor eSports provides high quality events for its members while also expanding the eSports presence at the University of Michigan. 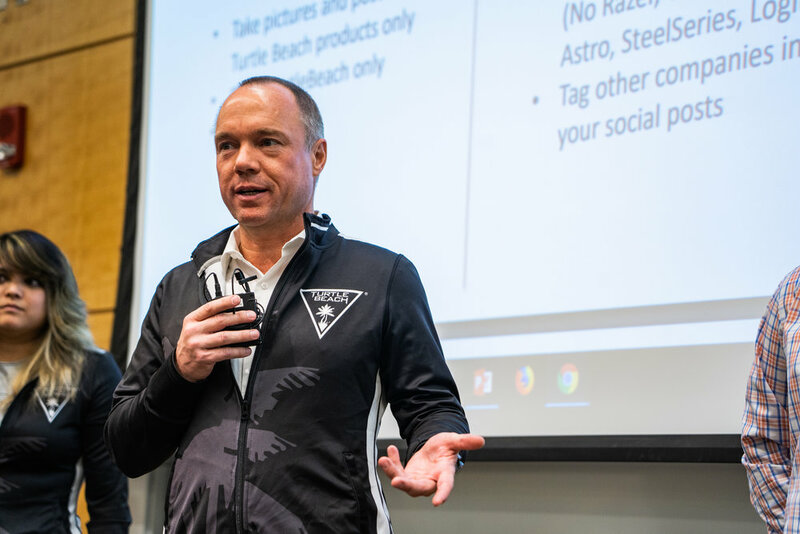 Before Game Industry night kicked off, University of Michigan alum and CEO of Turtle Beach Juergen Stark joined the Center for Entrepreneurship as the Entrepreneurial Hour (E-Hour) guest speaker. The Center for Entrepreneurship at U-M works tirelessly to create opportunities for students to meet and learn from entrepreneurial alumni like Mr. Stark. Kicking-off at 5:30 PM, students found a series of stations where they gamed on their own PCs while experiencing first-hand the different brands of PC Gaming Headsets. As they went through the various circuits, students worked with mentors from Turtle Beach to give insight on personal preferences, provide suggestions, share ratings, and leave comments on each of the models they try. After this experience, Turtle Beach will analyze and review the feedback to enhance and improve their gaming headsets. This is an exciting opportunity for students to contribute to the future of Turtle Beach products. 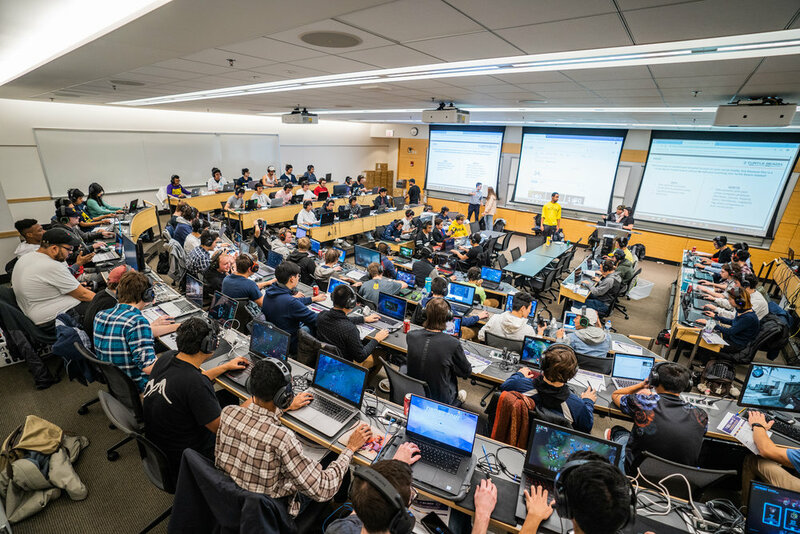 With such a direct application to real-world business and technology concepts, this product-rich session provided students with hands-on insights that they can use as they explore future opportunities in the gaming industry. Plus, participants received an inside look on the daily life and culture of Turtle Beach and its employees. And if that wasn’t enough, all participants received a newly released Turtle Beach Elite Atlas PC Gaming Headset! Game Industry night was packed with an awesome blend of learning and fun. To stay updated on all things Turtle Beach and learn more about the other innovation and design work going on in the exciting eSports and gaming space, check out Turtle Beach’s blog page.